It was nearly four years ago that a precocious 14-year-old with heaps of potential etched his name in the record books. A first ATP Challenger Tour match win was secured by a player born in the year 2000, as Felix Auger-Aliassime celebrated a breakthrough on home soil in Granby. Flash forward to 2019 and not only has the Canadian transitioned from Challenger prodigy to ATP Tour star, he is enjoying a meteoric rise up the ATP Rankings to the Top 50. But Auger-Aliassime is not alone. The 18-year-old is carrying the mantle for players born in the 2000s, with many others earning breakthroughs of their own this year. This week, the Challenger circuit welcomed two fresh faces to the winners’ circle, as 17-year-old Lorenzo Musetti and 15-year-old Carlos Alcaraz Garfia celebrated their first match wins in thrilling fashion. On Monday, Musetti became the first player born in the year 2002 to win a Challenger match, advancing at the Mouratoglou Open in Sophia Antipolis, France. He stormed back from a set down to defeat Karim-Mohamed Maamoun 3-6, 6-1, 6-2. A native of Carrara, Italy, Musetti would eventually fall to fellow teen and World No. 118 Alexei Popyrin on Tuesday. But the 2019 Australian Open junior champion has certainly made his mark to open his professional career. With the victory, he earns his first ATP Rankings points. “It’s something that you cannot describe,” Musetti said of his first taste of victory, “There are a lot of emotions on and off the court. This is completely different from juniors and it’s the real tour here. You meet players older than you with a lot of matches behind their shoulders. Musetti, who trains at the Mouratoglou Academy, finished runner-up in the US Open boys’ final last year, before capping his junior career with the title at Melbourne Park. He is competing in just his second Challenger main draw, following a first-round exit in Bergamo in February to open his professional career. Meanwhile, in nearby Alicante, Spain, a 15-year-old named Carlos Alcaraz Garfia claimed a slice of history of his own. One day after Musetti became the first player born in the year 2002 to win a match, Alcaraz Garfia became the first born in the year 2003 to emerge victorious. Held at former World No. 1 Juan Carlos Ferrero’s academy in the town of Villena, the tournament is celebrating its second edition this week. Alcaraz Garfia, who trains at the academy, defeated fellow teen Jannik Sinner 6-2, 3-6, 6-3 in Tuesday’s opener. Trailing 0-3 in the deciding set, he would mount an impressive comeback, reeling off the final six games to earn his first ATP Rankings points. “I entered the court knowing that I could win by playing my game,” said the Spaniard. “I was able to compete against a player who is young and has been doing very well, so my feelings are very good. “I came here with good results last week from a junior tournament. I’m playing like it’s my house and that’s always a plus that really helps. I played very well with a lot of courage and it gives me confidence for the next match. With his victory, Alcaraz Garfia becomes the fourth-youngest player to win a Challenger match in the last 20 years. 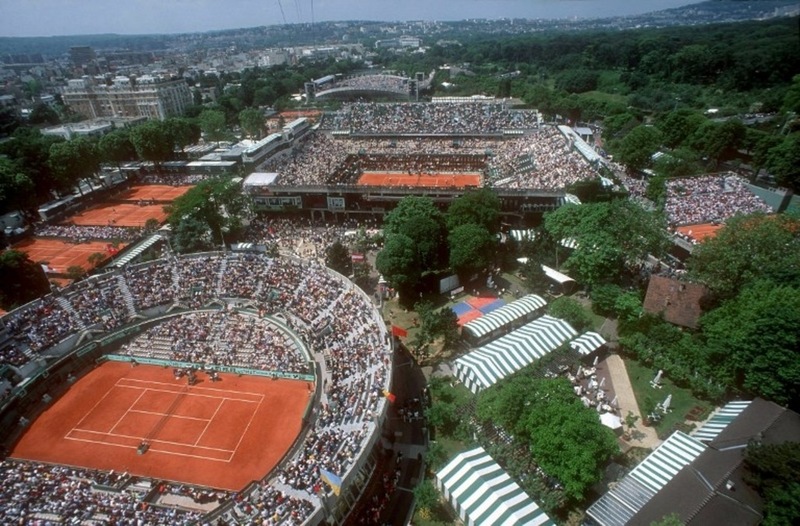 Only Felix Auger-Aliassime, Rafael Nadal and Nikolai Soloviev were younger. His Challenger debut continues on Tuesday with a second-round clash against eighth seed Lukas Rosol. 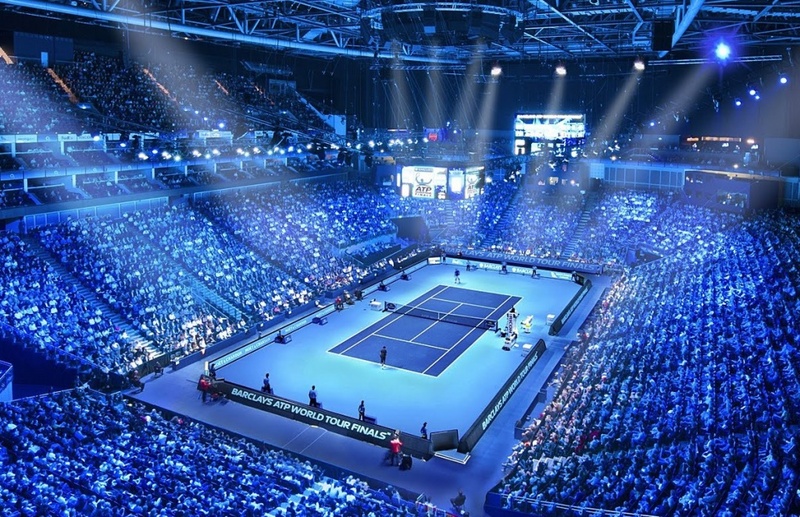 Fans were provided with an opportunity to pick the eight players they believed would qualify for November’s Nitto ATP Finals by 31 March, with the opportunity to win the ultimate trip for two to London to attend this year’s season finale. Nearly 17,000 people participated, selecting more than 5,200 different combinations. Despite his modest start to 2019, fans also feel that reigning champion Alexander Zverev, currently 22nd in the Race, will make it to The O2 to try to retain his crown. He received nearly 89 per cent of voters’ selections. Of the eight players whom fans picked to reach London, only five of the eight are currently in the Top 8 in the Race. Eight months ago, Bob Bryan’s future on the ATP Tour appeared in jeopardy when he underwent right hip replacement surgery. Nobody had come back from such an operation before. But three months into his comeback, on Saturday, Bob and twin Mike Bryan won the Miami Open presented by Itau. Even Roger Federer has taken notice. When asked about the 40-year-old lefty after winning his own title in Miami on Sunday, the Swiss had nothing but praise for Bob. While the Bryan brothers have captured 118 tour-level doubles titles as a team, in singles, Bob climbed as high as No. 116 in the ATP Rankings in 2000. At 2001 Marseille, he actually played Federer in singles, falling short in a straight-sets defeat. Federer first competed in the Miami main draw in 1999. The only player from that draw who is still active: Bob Bryan. Former World No. 1 Murray underwent the same surgery as Bryan after the Australian Open. Serbian Nenad Zimonjic returned from double hip replacement in February at the Sofia Open, and he is seeking the first match win of his own comeback. While many have been impressed by Bob’s efforts, the journey hits nobody closer to home than Mike. The right-handed Bryan, playing with Jack Sock, won Wimbledon, the US Open and the Nitto ATP Finals last year. But there was never a doubt that he would join forces with his brother once again, when Bob was ready. It is unclear what the future may hold for former World No. 1 Andy Murray. But fans around the world will be happy about one thing: the Scot is hitting tennis balls again. On Monday, Murray posted a video of himself hitting balls against a wall on his Instagram stories, just more than two months after he underwent hip resurfacing surgery on 28 January. Murray’s most recent match came in the first round of the Australian Open, where he played inspired tennis to push Spaniard Roberto Bautista Agut to five sets. While at the time he was undecided about whether or not he would undergo the surgery, Murray knew that the future was unclear. He has taken inspiration from watching Bob Bryan return to action, as the American underwent a similar surgery last August. Bryan and his twin, Mike Bryan, won the Miami Open presented by Itau. After Britain’s parliament again rejected a Brexit deal to withdraw from the European Union on Monday, there was little to encourage House Speaker John Bercow. But there was one exception: a tennis match on the other side of the Atlantic Ocean. “Nothing is won tonight. In what do I take comfort? Well, Roger Federer put on a majestic masterclass in Miami last night, so I’m happy about that,” Bercow said. Federer defeated 2018 champion John Isner on Sunday to win his fourth Miami Open presented by Itau trophy, also his 28th ATP Masters 1000 title. It’s not the first time that Bercow has taken notice of Federer during these Brexit proceedings, though. He also used Federer to inject humour into the conversation in March. “I always say the best thing about Switzerland is not its watches or its financial services or its chocolate. 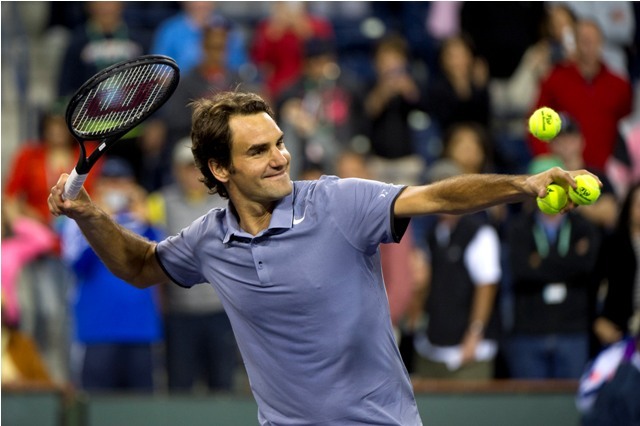 The best thing about Switzerland is Roger Federer,” Bercow said. Last year, with the help of the Speaker, the launch event for the Nitto ATP Finals was held at the Houses of Parliament. In need of a tennis fix this week? While the ATP Tour is on a one-week hiatus ahead of the clay-court season, the ATP Challenger Tour is still going strong. Stars abound across three tournaments, with a total of 10 players inside the Top 100 competing. 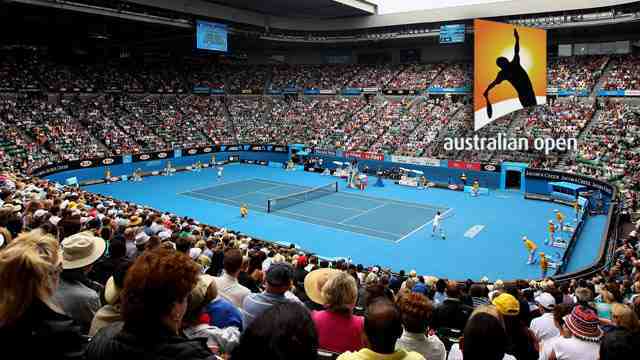 Don’t miss a moment of the action, with free live streaming of all 141 matches available on ATPChallengerTour.com. Abierto GNP Seguros: The prestigious Challenger 125 event in Monterrey, Mexico, is back for a fifth edition and is headlined by Americans Tennys Sandgren and Bradley Klahn, with Spanish veteran Feliciano Lopez and #NextGenATP star Casper Ruud rounding out the Top 4 seeds. Ernesto Escobedo, champion in 2016, is unseeded. 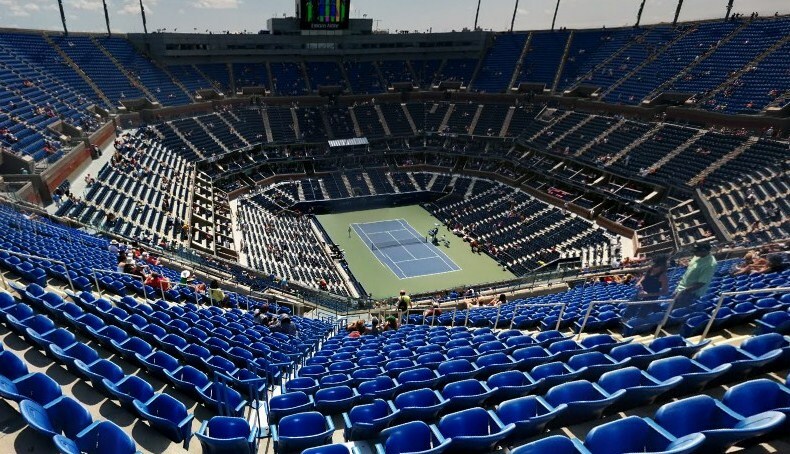 One of just two combined ATP Challenger and WTA Tour events on the calendar, along with Nottingham, UK, the hard-court tournament is a favourite among all players. In 2015, it took home Challenger of the Year honours in its inaugural edition. Located at the base of a vast mountain range extending from the United States to Central America, peaks tower over the Club Sonoma, contributing to the event’s intimate atmosphere. Mouratoglou Open: After a one-year hiatus, the clay-court event in Sophia Antipolis, France, is back. 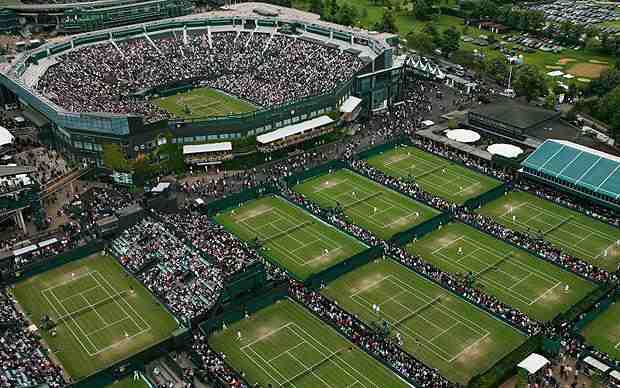 Held at the world-class Mouratoglous Tennis Academy, the tournament features an equally impressive field. Top 100 stalwarts Pierre-Hugues Herbert, Robin Haase, Benoit Paire and Albert Ramos-Vinolas are joined by Filip Krajinovic, who is coming off a Round of 16 finish at the BNP Paribas Open in Indian Wells. #NextGenATP stars Alexei Popyrin, Rudolf Molleker and Lorenzo Musetti are also in the field. On Monday, 17-year-old Musetti won his opener, making him the first player born in the year 2002 to win a match on the ATP Challenger Tour. The Italian claimed the Australian Open junior title in January. Ferrero Challenger Open: With former World No. 1 Juan Carlos Ferrero at the helm, the first edition of the tournament in Alicante, Spain, was a great success in 2018. Now, the clay-court event is back for a second year and a familiar face is leading the charge: top seed and reigning champion Pablo Andujar. Andujar is joined by Jiri Vesely, Elias Ymer and talented teens Jurij Rodionov, Alejandro Davidovich Fokina and Nicola Kuhn in the field. Held at Ferrero’s Equelite Sport Academy, it is one of two Challengers staged on the grounds of a Spanish legend’s academy, along with the Rafa Nadal Open in August.